Because of fall break, we only had three weeks for storytime in October. 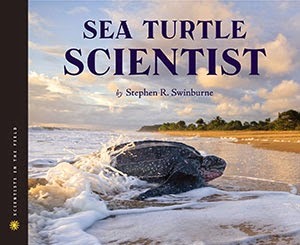 I chose more nonfiction books for the first two weeks, and then finished out the month with spooky books. Pop! : The Invention of Bubble Gum by Meghan McCarthy. We also talked about a couple of longer picture books that I hope some of the students will pick up on their own: The Boy Who Invented: The Story of Philo Farnsworth by Kathleen Krull, illustrated by Greg Couch and The Day-Glo Brothers: The True Story of Bob and Joe Switzer's Bright Ideas and Brand-New Colors by Chris Barton, illustrated by Toni Persiani. Ivan: The Remarkable True Story of the Shopping Mall Gorilla by Katherine Applegate, illustrated by G. Brian Karas. Many of the students are either reading or have read Katherine Applegate's fiction story inspired by Ivan's life, The One and Only Ivan, (particularly because it is a selection for America's Battle of the Books this year). 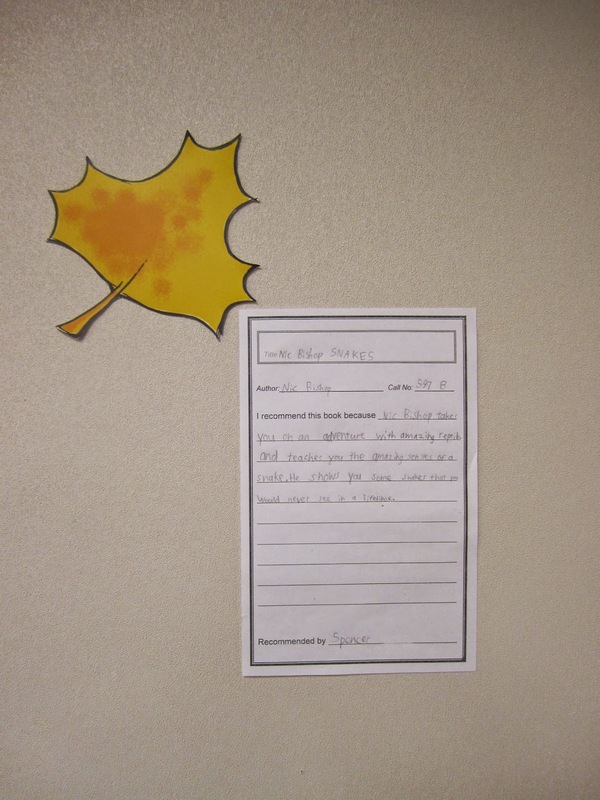 Reading Ivan's story gave us a chance to discuss elements of the story that are factual and elements that are imagined. The kids especially loved the photos of Ivan and the picture of one of his paintings. The Garden of Abdul Gasazi by Chris Van Allsburg. We talked about achromatism and color choice. We discussed why an artist might want to create black-and-white illustrations, and the marvelous effect of having spots of orange color in Creepy Carrots. 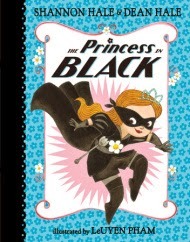 The Princess in Black is a story about a seemingly perfect princess, with a secret. When a nosy duchess comes to visit, Princess Magnolia has to rush to turn into her alter ego (the Princess in Black), battle monsters from the nearby Monster Land, and make it back to the castle before her secret is discovered. This comical story with colorful illustrations is sure to delight young readers. 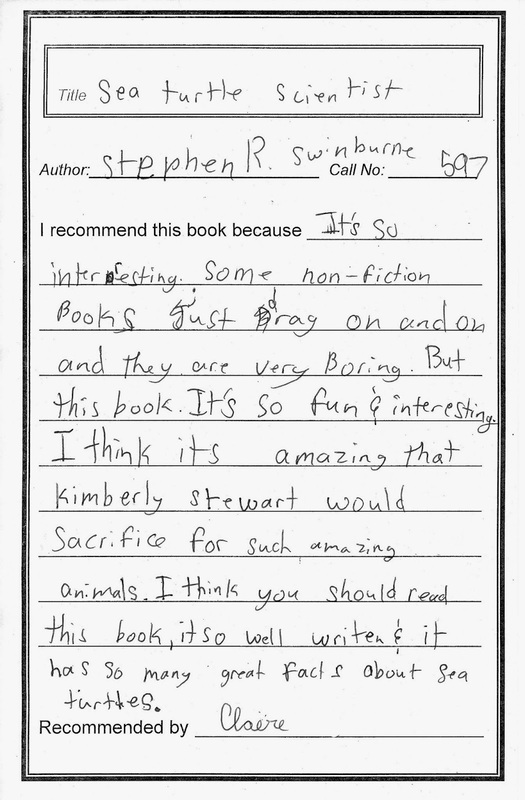 Now, it's time to let our kid readers do the talking. 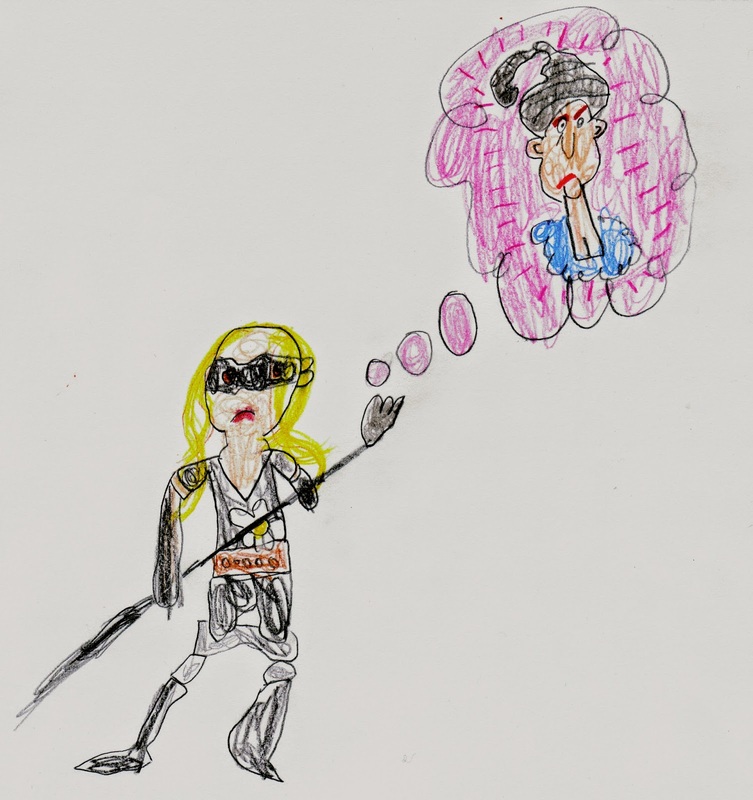 My favorite part is when the Princess in Black is thinking about the nosy duchess. If I were the Princess in Black, I would try not to think about the nosy duchess. I like how cute the Princess in Black looks when she is hoping the duchess will not snoop. My favorite part was when she switched from the Princess in Pink to the Princess in Black. If I were the Princess in Black, I would save people all over the WORLD!!! If you haven't nominated your favorites yet, do it now--it only takes a minute. Here is the link. When I was young (think four or five), my sisters and I were allowed to watch television until Mom rang the dinner bell. (Yep, we actually had a dinner bell.) Dinner-prep time was when PBS showed The Electric Company, and I loved the segment called "The Adventures of Letterman" where the villain, Spell Binder, created havoc by changing a letter in a word. The hero, Letterman, then came to the rescue by ripping a letter off his sweater and changing the word back to the original, or better yet, by changing the word to something else entirely. Letterman could fix all kinds of perilous situations with the power of a single letter. 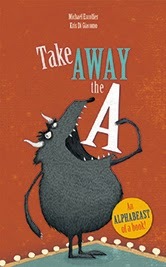 Michael Escoffier's new book, Take Away the A, reminds me of that. In it, each letter of the alphabet is featured on a double-page spread where a word is transformed by taking away just that letter. For example, "Without the A the BEAST is the BEST" and, "Without the E BEARS stay behind BARS." 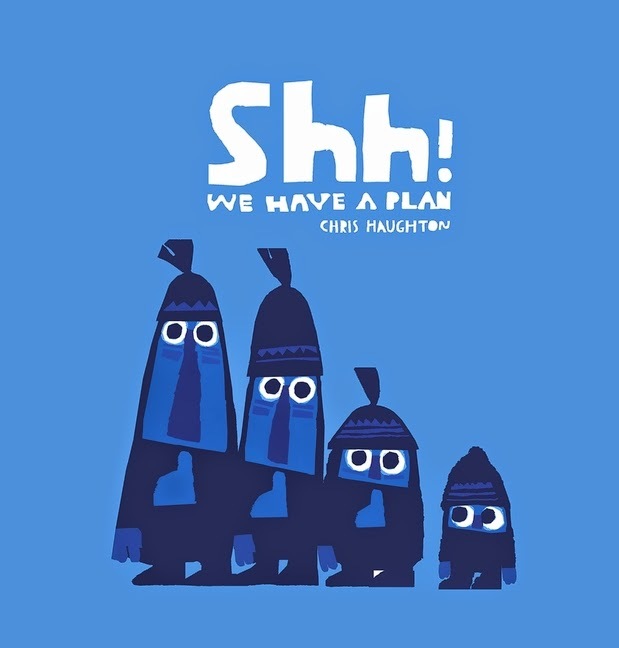 The illustrations take the cleverness up a notch, with a droll cast of animals and personified inanimate objects inhabiting small, individual stories that extend the text and are funny, funny, funny. Jam flirts with Peanut Butter, saying, "Jam I am" as a slice of bread sits on a plate nearby, presumably to become a sandwich when the two jars get together. "SNOW falls NOW" on two unfortunate pigs who are sitting under their beach umbrella clad in swimwear. And I won't give away P's story, but trust me, it's good. In a twist for the letter Z, a curtain call loosely wraps the stories together and provides a tidy sense of completion. Readers will want to linger before turning pages and may find themselves looking for word pairs of their own. Get yourself on over to the Cybils site where nominations open today and submit the titles you think deserve some attention. And . . . bring on the books! I am one of those moms who longs for longer summer vacations--library visits, summer projects, and no homework. However, there are a few good things about school being back in session, and one of them is a return to weekly storytimes. This year, I am reading to third graders and enjoying slightly longer books. 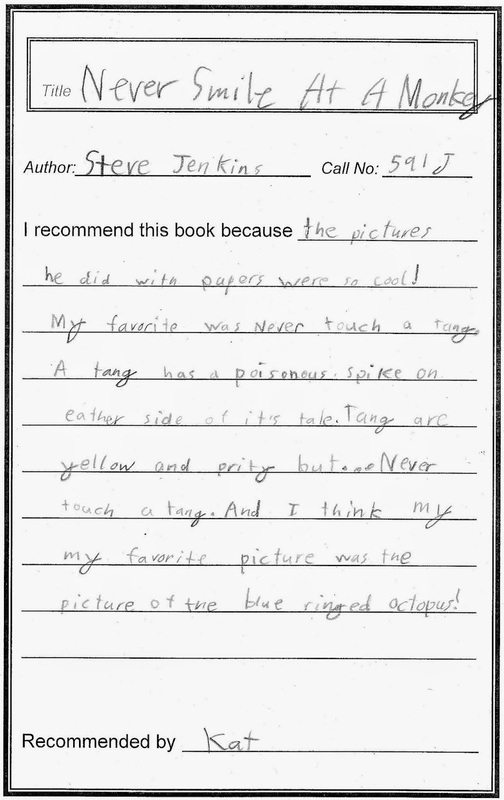 In September I paired fiction books with true stories. With Books and Bricks: How Booker T. Washington Built a School by Suzzane Slade, illustrated by Nicole Tadgell. At the end of With Books and Bricks, we read Booker T. Washington's words: "Success is to be measured not so much by the position that one has reached in life, as by the obstacles which he has overcome while trying to succeed." We discussed the obstacles he had to overcome to get an education and build a school. One Grain of Rice: A Mathematical Folktale by Demi. In spite of the third graders' confidence that the Rani had made a good choice when she chose her reward of a single grain of ice on the first day and then an amount double that of the preceding day on each subsequent day for thirty days, I still heard "ahs" and "wows" as I unfolded the page showing her final payment in One Grain of Rice. Numbers become more real when you can visualize them. Henry's Freedom Box: A True Story from the Underground Railroad by Ellen Levine, illustrated by Kadir Nelson. I asked the students to think about the merchant's conclusion in Two Parrots: "Freedom is more important than food and water and all the wealth in the world." That can be hard to understand when you have always known freedom. The students were troubled by Henry's plight, particularly when his wife and children were sold, and despite an unexpected fire drill midway through the story, Henry's Freedom Box was one of my favorite books of the month. The Right Word: Roget and His Thesaurus by Jen Bryant, illustrated by Melissa Sweet. 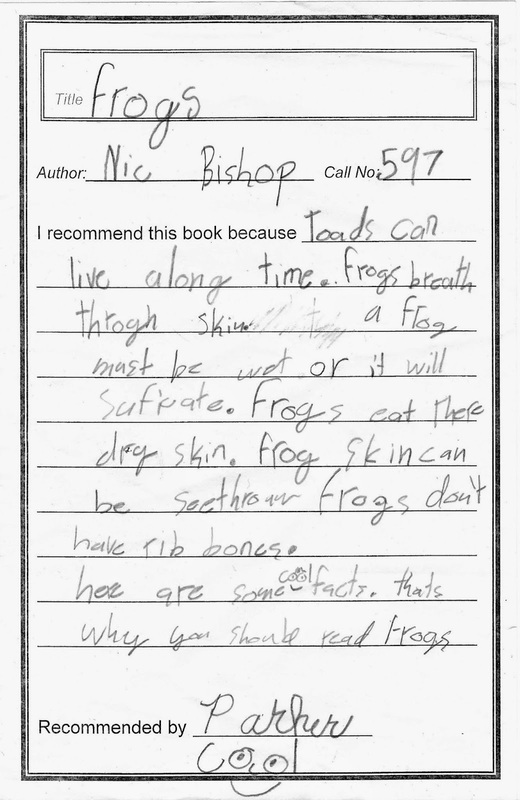 I wished I had had the thesaurus my dad bought for me when I was seven to show the students as I told them how I loved reading through the lists of words. A thesaurus reminds me of Mark Twain's words: "The difference between the almost right word and the right word is really a large matter--'tis the difference between the lightning-bug and lightning." Hoop Genius: How a Desperate Teacher and a Rowdy Gym Class Invented Basketball by John Coy, illustrated by Joe Morse. We talked about two inventions that had accidental beginnings--chocolate chip cookies and Post-It Notes. I have been waiting for a good chance to share Hoop Genius, one of my favorite books from last year, and finally found one. Some books capture a reader's attention with suspense-filled action, and you can hardly turn the pages quickly enough to find out what will happen next, while others present sympathetic characters that you come to care about. Still others, render the setting so vividly that you can imagine being there yourself. Certainly, these strengths are not mutually exclusive, and the books we love to read usually have multiple strengths. 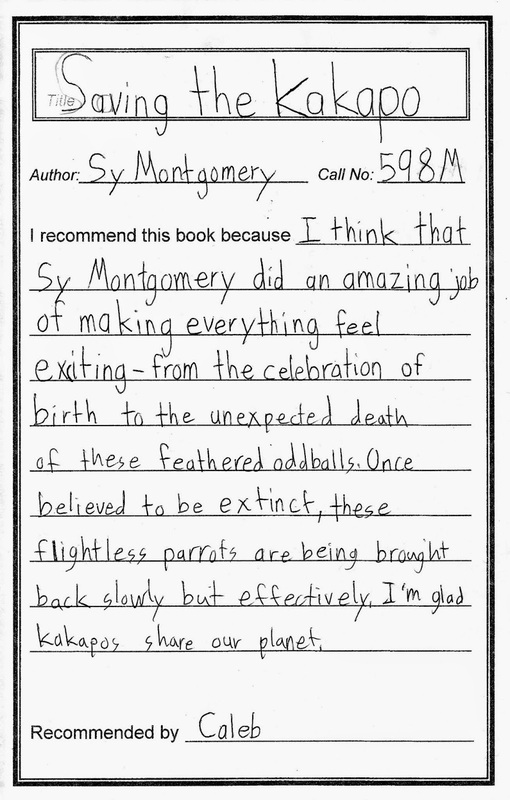 And while Volcano Beneath the Snow does many things well, the thing that makes it stand out in my mind is the remarkable way it engages readers in ideas. The narrative opens with a speech given by a tall, thin, sunken-cheeked man at a political meeting: "'A house divided against itself cannot stand,' . . . I believe this government cannot endure, permanently half slave and half free . . .'" (2) These words spoken by Abraham Lincoln addressed a mid-nineteenth century crisis for our country, but the ideas they convey are still relevant today, as are the other questions introduced in the six-page prologue and explored throughout the text. Can a man engage in villainous acts and be a hero? Should man act in strict obedience to the laws, thus supporting and upholding the government, or in obedience to his conscience? Can violence in the pursuit of moral justice be righteous? Marrin offers conflicting answers posited by Abraham Lincoln, Henry David Thoreau, William Lloyd Garrison, Frederick Douglass, and of course, John Brown. Clashing viewpoints of abolitionists, Free-Soilers, and pro-slavery advocates underscore the complexity of the problem, thereby resisting simplification of this historical chapter into good guys versus bad guys. And Marrin doesn't shy away from the harsh realities of racism and flawed individuals. The honest portrayal of Lincoln's views in particular may surprise some readers. 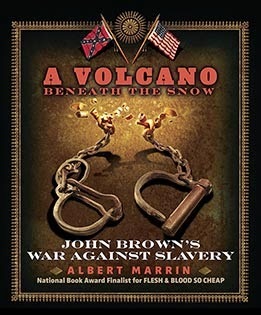 In John Brown, readers meet neither a villain nor a hero, but a man whose life was filled with contradiction. He had little formal education, was a troublemaker as a teen (bossy, aggressive, and prone to lying), and was fascinated by history. He was deeply religious, highly opinionated, and "admired for his 'invincible honesty'". (15) And most importantly (to this story, at least) he firmly believed he was called by God to liberate slaves, and he embraced the use of terrorist tactics to do it. Brown's execution does not come at the end of the book, just as his death did not end his influence. The final sixty pages of the book lay out the chain of events that were triggered by Brown's failed plot at Harpers Ferry and end with the eventual abolition of slavery. The Children's and Young Adult Bloggers' Literary Awards (Cybils Awards) recognize books with both literary merit and popular appeal. If you would like to learn more about the Cybils, you can read about the awards here. This year I'll be serving as a first-round panelist for Young Adult Nonfiction, and it looks like I am in good company. 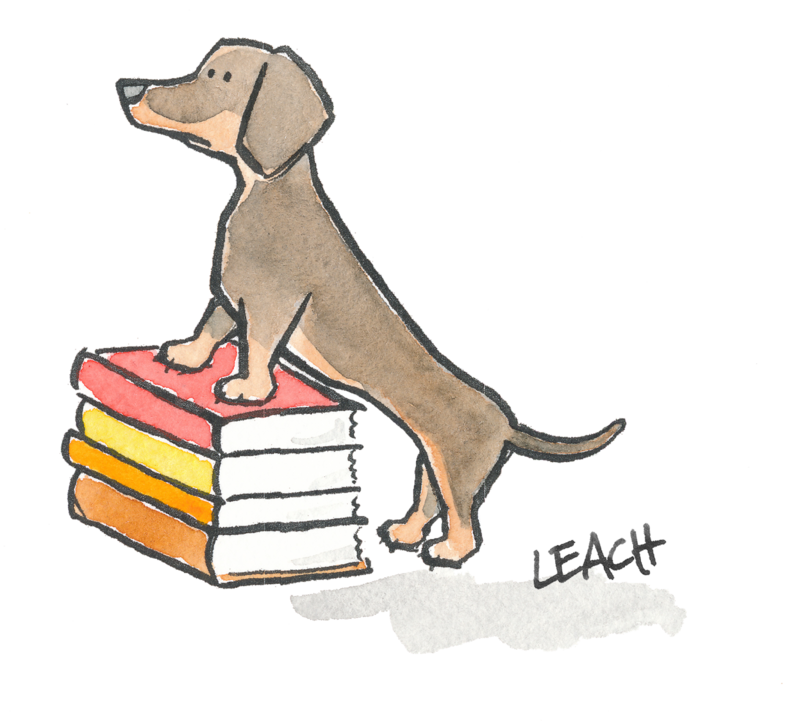 I'm looking forward to spending heaps of time with the nominated books during the next couple of months, so put together a list of books you would like to see recognized and nominate your favorites starting on October 1. 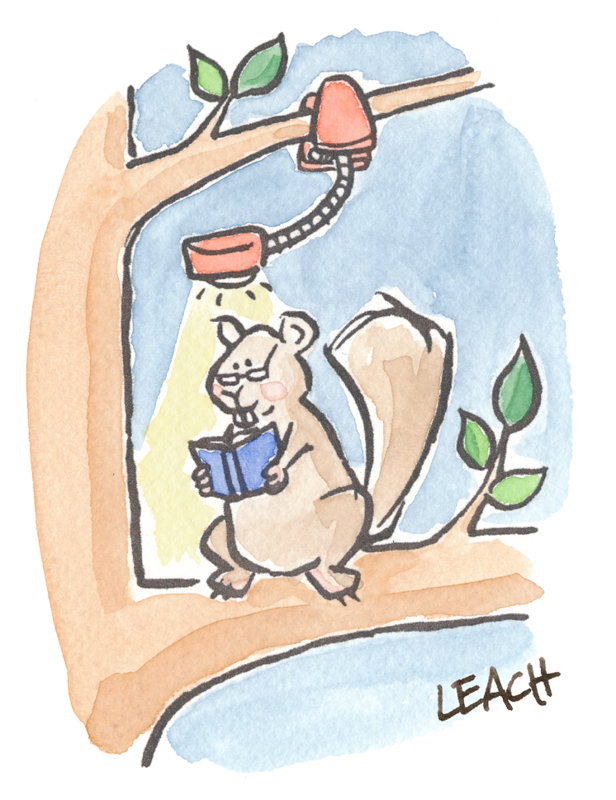 Some books are meant to be read late into the night; a dark, shadowy room with only small flickering light illuminating the words on the page creates an ambiance that ignites your imagination . . . if you dare. In the case of The Whispering Skull, you may want to read in mid-day to avoid any sudden appearances of uninvited Visitors. 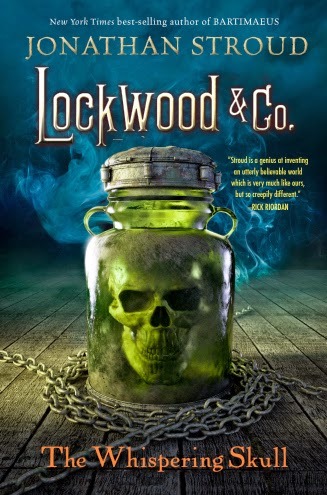 This second book in the Lockwood & Co. series continues the ghost-fighting adventures of Anthony Lockwood, Lucy Carlyle and George Cubbins, children with psychic abilities who risk their lives confronting Britain's wandering spirits. Lockwood is the charismatic leader of the struggling agency, George is the researcher, and Lucy. as the newest member of the team, is still identifying all of her psychic abilities. As the smallest agency, they are always looking for ways to prove themselves. When a job goes wrong, and members of the Fittes Agency, a much larger a prestigious company, are there to swoop in and finish the job, Lockwood throws out a challenge. Whoever loses the next job will have to post a letter in the newspaper admitting defeat, thereby solidifying the winning agency's reputation as superior. Unfortunately, the next job proves to be especially challenging with dangerous ghosts, murderous grave robbers, missing supernatural artifacts, haunted houses, and dangerous criminal contacts. To top it all off, Lucy starts hearing a menacing voice that seems to be coming from a ghost jar . . . 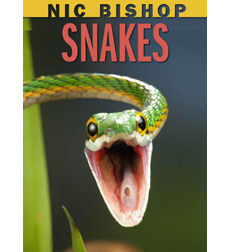 Clever dialogue, elegant characters and a well-paced plot line show off Jonathan Stroud's palpable talent as a story-teller. Even those of us not drawn to horror will appreciate this well-crafted adventure and be totally entrenched in this eerily plausible story. Because the subject matter is supernaturally charged, there are some gruesome aspects that may turn the squeamish away and the obvious horror theme does make this more appropriate for an older audience. All that being said, this somewhat heavy ghost-filled tale is masterfully broken up with witty banter, in typical Stroud style, that will make you laugh out loud. The ending is satisfying and does what any book in a series should do -- wrap up the loose ends that have arisen in the latest adventure, but leave a door open with an intriguing twist to lure you to the next book. Without the frustration of stopping mid-story, there is just enough of a twist at the end to want to keep reading. The only problem? Now we have to wait for Book Three. 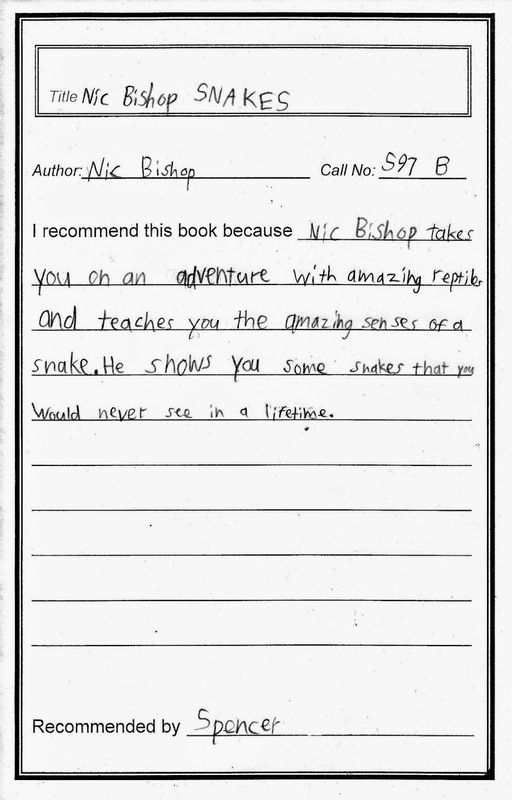 *Review copy received from publisher. The National Book Award long lists are being announced this week. Check out the long list for Young People's Literature. I'm glad to see Revolution, The Port Chicago 50, and Brown Girl Dreaming--they are all on my long list this year. I just started Greenglass House last night and still have Skink--No Surrender in my to-read stack. I guess I'm a little behind in my reading. We are well into September and that means Heavy Medal and Calling Caldecott are both up and running for the season. You can get in on the speculation and discussion or just enjoy lurking. Either way, you'll read about some of the best books of the year. And if you are interested in some early Newbery and Caldecott predictions, Betsy Bird has her picks at A Fuse 8 Production. Don't skip the comments. 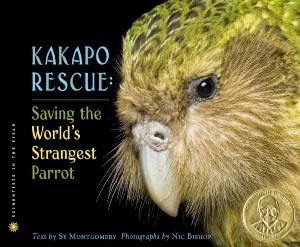 Lately, I have been drawn to non-fiction picture books. They are such a great way to expose all ages to amazing, true stories in a very short amount of time. It is especially fun to be introduced to people you've never heard of before. 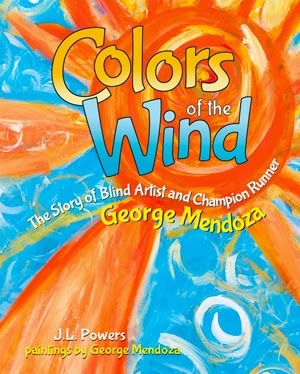 Such is the case with Colors of the Wind: The Story of Blind Artist and Champion Runner George Mendoza. George Mendoza was a boy who "never stayed still" and "never got sick." He dreamed of being a basketball player. Until one day, he started getting terrible headaches and the world looked like it was painted red. He was losing his sight, but started seeing brilliant colors and flashing lights. Because he couldn't play basketball anymore, he started to run. He ran to forget that he was blind, but he soon discovered he was fast. So fast, in fact, he became an Olympic runner. George continued to see the world in a kaleidoscope of colors and decided to follow the advice a priest had given him to "paint what you see." After winning a contest for blind artists, he started painting every day. Now, his paintings hang in museums and inspire people to explore and develop hidden talents. Mendoza's life is an inspiration to anybody who has faced seemingly unbearable obstacles and broken dreams. His story gives hope with a message of second chances and the power of reinventing your life and reevaluating your goals. You will want to check out this book to enjoy the inspirational story of George Mendoza and marvel at his beautiful paintings. Each page showcases his unique style in an explosion of texture, bold colors and interesting lines that will stay with you long after you close the book. "No thief likes a full moon. Like mushrooms and owls, they do their best work in the dark." 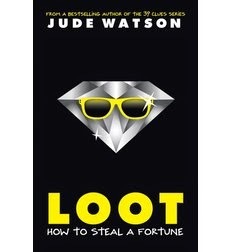 The first lines of Loot by Jude Watson set up a fun heist adventure that will keep you on your toes as you follow the twists and turns through an engaging mystery. March McQuin's father Alfie, an infamous jewel thief, taught his son all the tricks of his trade while adventuring the world, and they always had each other. But, when his father slips off a building during a robbery gone bad and dies, March loses the only family he has ever known, and he is truly alone. Alfie McQuin's dying words were to "find jewels," so March sets off to find his last big score. He soon realizes, however, that "jewels" is not the fortune he is expecting, but is actually his secret twin sister, Jules and their reunion begins an adventure neither of them planned as they search for seven mysterious moonstones, originally stolen by their father many years ago. They are pursued by a dangerous thief who will do anything to grab the gems first, and they also must stay a step ahead of an ex-detective with his own agenda. Peppered with useful hints to be a successful conman -- "Never trust a guy who says, "Trust me." Never give your real name to a cop. Never let someone steal your getaway car." 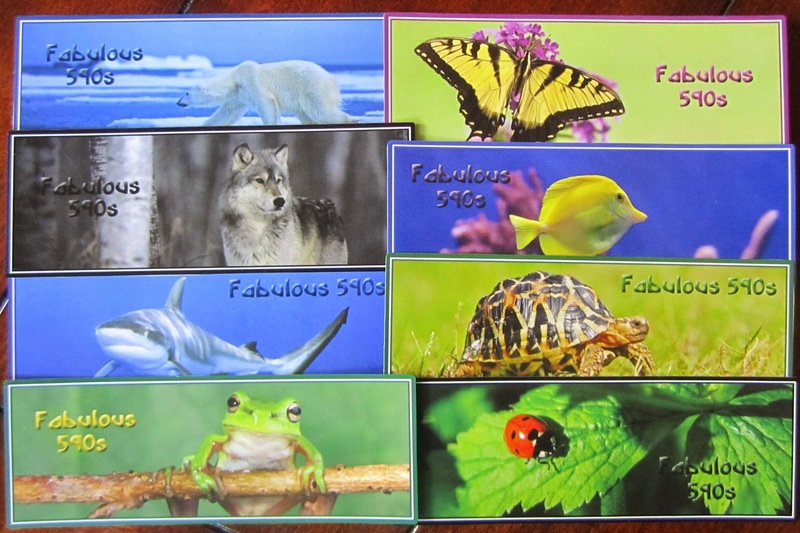 -- Alfie's advice is engaging and provides the background for March and Jules' dangerous adventure. Jewel heists, betrayal, greed and loss mix together with a familiar story about family ties, friendship and love. While the criminal knowledge and experience of these twelve year olds is a little unsettling, their independence and persistence make for an entertaining adventure. There are certain scary elements (hooded men chasing the kids through dark streets, fight scenes and death) that skew the story to a slightly older audience. “Pigsticks [is] the last in a noble line of pigs,” but he hasn’t done anything great yet. After reading about his forepigs, Pigsticks decides to travel to the Ends of the Earth and (“unlike [his ancestor] Colonel Pigslet) . . . make it back alive!” After a futile search for an assistant, Pigsticks serendipitously meets a small hamster named Harold who is strong, honest, and just what Pigsticks is looking for. Reluctantly--and only after a promise of three cakes, one of them Battenburg--Harold agrees to the arrangement, and the unlikely pair set off on an adventure. Pigsticks’ studied inattention, Harold’s penchant for cake, and the dialogue between the two create unpredictable humor and some absurd situations. 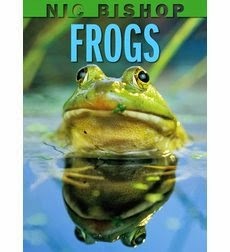 An interesting, elevated vocabulary makes this upper-level easy reader a great choice for independent readers who still want shorter stories with plenty of pictures. 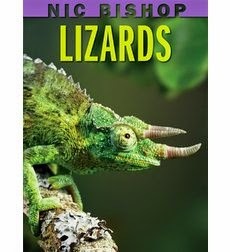 *Received Netgalley ebook for review. “Ophelia did not consider herself brave . . . but she was very curious. She was exactly the kind of girl who couldn't walk past a golden keyhole without looking inside.” (9) That keyhole happens to be in a snowy foreign city where her father has just taken a job at the museum. Her mother died three months ago, and since her father is distracted with work, and her sister is moody and distant, Ophelia explores the museum alone. But the museum is a confusing place with signs pointing the wrong direction and guards that knit, sleep, and yell for no good reason, and of course, that golden keyhole. Behind the keyhole she finds a 303-year-old boy who claims his name was taken by a “protectorate of wizards from the east, west, and middle . . .” (14) and that he is a prisoner of the Snow Queen. He needs Ophelia’s help to find a magical sword and the One Other who will know how to wield it. In short, he needs her to save the world. With lyrical writing, an adventure-filled plot, and the triumph of love over misery, this Snow Queen story is everything that a modern-day fairy tale should be. For 12-year-old Lucy Emery, moving to a lakeside cottage in New Hampshire means starting over in a new place again. While her dad is out of town on another photography assignment, Lucy makes friends with Nate, the boy next door, and together, they spend the summer trying to find the perfect shots for a photo contest that Lucy is determined to win. They hike a mountain, kayak on the lake, and watch the loons, but when one photograph reveals too much about Nate’s grandmother, it might mean the end of their friendship. Lucy’s thoughtful observations provide insight into the characters and the human experience. For instance, Lucy’s thought that kids “care a lot about other people, but most times . . . don’t have the power to change things for them” rings true. (71) And her reaction to meeting new people (“Practice only makes familiar . 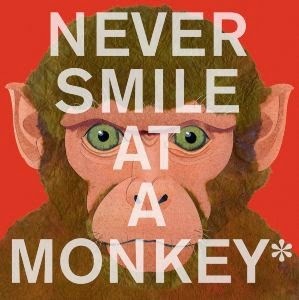 . . Never easy.”) made me stop and think what many introverts might think: “Yep! That’s exactly right!” (6) The sometimes difficult subjects of aging and dementia are treated in a candid, yet sensitive way. This is a perceptive story about new beginnings, saying goodbye, and all the moments captured in between. Segregation is a way of life in Greenwood, Mississippi, so 12-year-old Sunny Fairchild doesn't think much about why only white people go to the movies at the Leflore, or why no black children swim at the city pool, or why the only black woman at church is not a congregant, but a nursery assistant. Besides, Sunny has worries of her own: her mother left when Sunny was a baby and her father’s new wife and children are “stuffed” into her home (80). But this summer--the summer of 1964--agitators from the North are invading Mississippi, bringing big changes to the South, and as Sunny learns to look beyond her own concerns, she finds herself changing, as well. Wiles uses Freedom Summer--the summer when 1,000 volunteers descended upon Mississippi and worked in a coordinated effort to empower black residents by registering them to vote--as the setting for her story. Revolution is the second book in The Sixties Trilogy, and as in the first book, period photographs, music lyrics, speech excerpts, and brief biographical sections are inserted between pages of story. The factual--LBJ, Muhammad Ali, the Beatles, escalation of the war in Vietnam, and the murder of three Freedom Summer volunteers--intersects with Sunny’s fictional story, enhancing both and creating a memorable read. This summer marks the 50th anniversary of Mississippi’s Freedom Summer. Revolution, Freedom Summer by Susan Goldman Rubin and the young adult book, The Freedom Summer Murders by Don Mitchell are all excellent for exploring this pivotal period in our nation’s struggle with civil rights. The Scraps Book: Notes from a Colorful Life is like a mini-presentation Lois Ehlert printed and bound between two 8 ¼ inch-square covers. With just a sentence or two per page (and an occasional third), Ehlert tells of her childhood, the inspiration for her art and stories, and her process for creating books. Photographs of her parents, tools, supplies, and workspace, along with her artwork (both in progress and from her books) fill the pages, while notes label the pictures and provide additional detail. 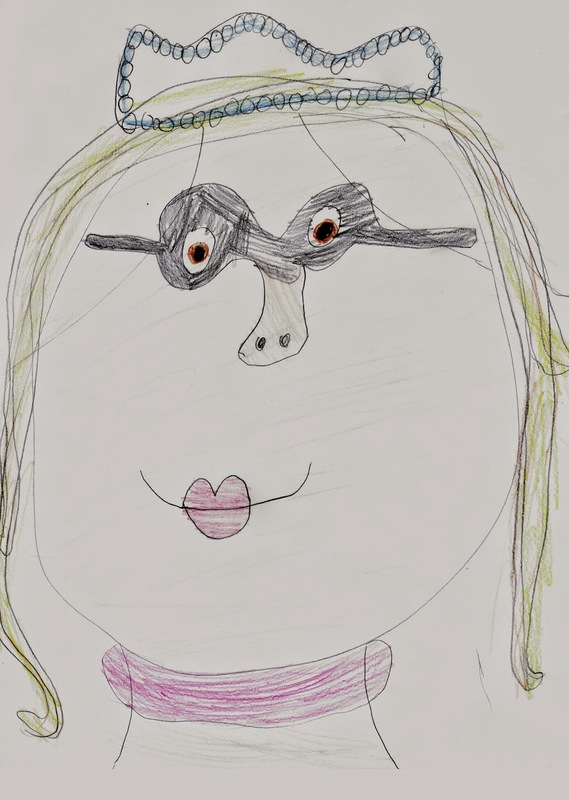 She even shares a few art project ideas that readers can try. 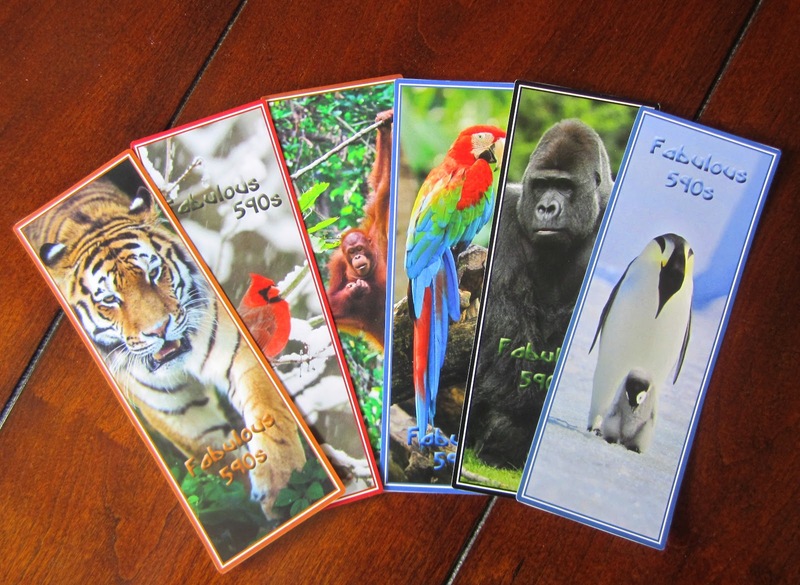 The book’s scrapbook style is perfectly suited to the colorful collage art. Fans of Lois Ehlert will love learning about her work, and budding artists may be inspired to create collages of their own. belongs in every library. These excellent nonfiction books for younger children chronicle significant moments in America’s history such as the terrorist attacks of 9/11, the start of the Revolutionary War, and the discovery that triggered the California gold rush. He Has Shot the President recounts the events of April 14, 1865--the day John Wilkes Booth shot President Lincoln, detailing not just the assassination, but also, the larger story of the conspiracy to cripple the Union’s leadership and the ensuing manhunt. Brown’s use of sharp angles and diagonal lines creates emotion and movement in the watercolor illustrations. With impeccable pacing and a tightly spun narrative, this book is enough to make a history fan out of anyone. When the 328 surviving men from Port Chicago were ordered to return to loading ammunition at Mare Island Naval Shipyard a few weeks after the explosion, over 200 refused. After threats of court-martial, 50 men still refused to load ammunition under the same officers with unchanged conditions. These were charged with mutiny, resulting in the largest mass trial in U.S. Naval history. 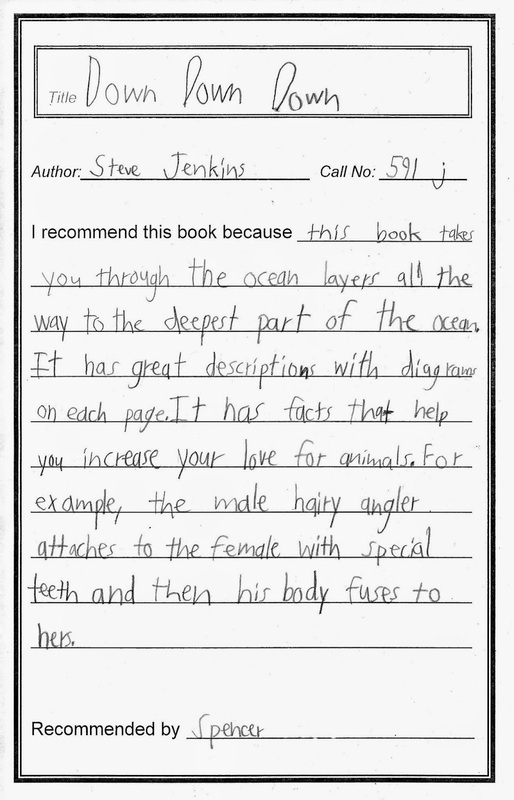 Sheinkin is one the best writers of children’s historical nonfiction today. His narratives are engaging, powerful, and eminently readable. This story of 50 men primarily follows Joe Small (the man accused by prosecutors of leading the mutiny), keeping it focused and personal. Brief examples of segregation and racial discrimination endured by servicemen elsewhere give a broader context to the story. And contemporary reports and transcripts, recollections of participants, and photos bring this compelling moment in history to life. Extensive research and first-hand accounts make this story of Russia’s last Imperial Family strikingly personal. Fleming looks at people and events that were inextricably linked to the Romanovs (Lenin, Rasputin, peasants, factory workers, and World War I), but adroitly contains the details so they never threaten to eclipse her primary subject. This bigger picture helps readers understand the social and political forces that led to unrest, revolution, and ultimately, the Romanovs’ demise. This is Candace Fleming at her best. I know . . . it’s 93 degrees outside, but just for a minute, imagine snow--lots and lots of snow. Because in Jon Agee’s book, Little Santa, that is what there is--snow, cold, and hard work. In fact, life is so tough at the North Pole, that the Clauses (well, the parents and six of the children, at least) are miserable. Santa, the youngest of the bunch, loves the North Pole, and his red suit and cheerful face stand out in comical contrast to his family’s glumness. 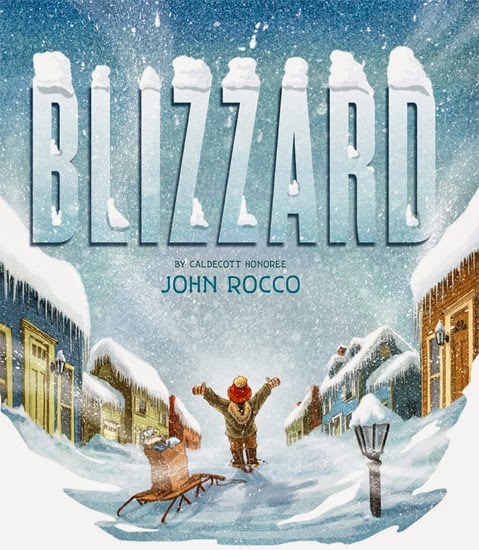 Just when the Clauses decide to leave the “miles and miles” of snow and move to Florida, they get trapped by a “terrible blizzard,” and young Santa has to go for help. This is not the story from the TV specials, instead it’s the story of how Santa flies on a reindeer, meets some helpful elves, and ends up staying at the North Pole--all told with Jon Agee’s characteristic dry humor and cartoon illustrations. Perfect for Christmastime . . . and pretty terrific even in July. time singing, swaying, and pretending with her tree. Some days the “leaves . . . dance for her.” Then one day, a sapling appears near Maple’s tree, and she learns that she will soon be a big sister. A restrained text in this sweet book about sisters lets readers discover for themselves just what is happening in the story, creating a couple of great “Aha” moments. Details in the pencil and digital-color illustrations, including Maple’s toys and a nest made by the birds in spring, encourage multiple readings. The painterly feel of the maple tree, created with gorgeous shades of green and yellow, will have you seeking out the shade of a welcoming tree. Look for the next book about these sisters, Maple & Willow Together, due to release in November. Here the splendid, double-page, ink and photo collage illustrations tell the story best and heighten the humor. Peggy wanders amidst an umbrella-carrying, faceless crowd, rides the escalators, tries on shoes, and watches a movie (with popcorn, of course). Just try not to giggle when she comes face to face with the chicken-shaped gravy boat. After exploring the city, Peggy makes it safely home, but her daily routine will never be quite the same. Anna Walker is an Australian author and artist whose concern for her own bantam hens blowing over the fence sparked the idea that grew into Peggy’s adventure. It’s funny, beautiful, and utterly charming. That’s the first rule of summer. While it seems to be all about the rules, it is more about the relationship between brothers. This is one of those books that you really have to read for yourself, but I’ll give you half-a-dozen adjectives: captivating, enigmatic, emotive, thought-provoking, powerful, and inimitably Shaun Tan. One reading is not enough. In Have You Seen My Dragon by Steve Light, a small boy searches the city for his dragon. “Maybe he got hungry and stopped for a hot dog./ Or perhaps he went downtown on the bus.” Detailed illustrations capture the frenetic energy of a city. And the dragon looks perfectly at home in the busy double-page spreads where he can be found swimming in the harbor, riding atop a subway car, and visiting the playground. 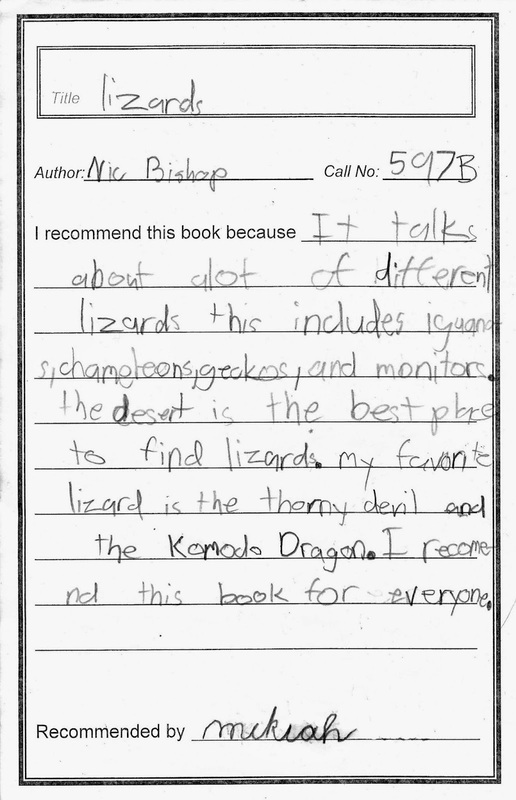 As readers join in the search for the dragon, they will find something new to count with every page turn. Splashes of color on the otherwise black and white pages highlight 2 hot dogs, 3 buses, 4 sailboats, and so on, up to 20 Chinese lanterns. This book works on multiple levels: a spot-the-dragon book; a counting book; a wow-check-out-everything-that-is-going-on-in-this-city book. And besides, who wouldn't love to pick up a book with a green foil dragon on the dust jacket?